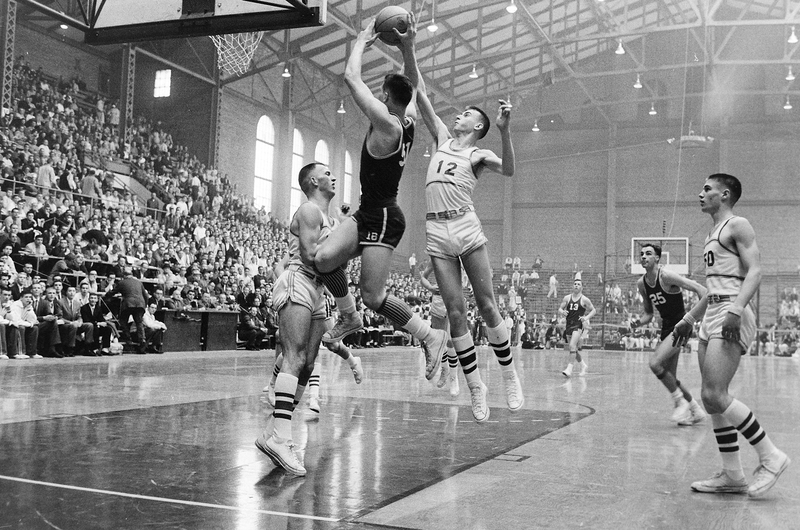 This was first round action(Wednesday 3/14/62) SK against Bellarmine Prep. South Kitsap, coached by Orville Anderson, won an overtime thriller the next day against the ranked Everett Seagulls before bowing out of the State Tournament losing to the Olympia Bears. Dave Covey played on that ’62 SK Team who went on to the UW to become a varsity crew member. I believe #13 is Steve Lovely, #25 is Dwight Hodgen and Dave Covey going up for a shot.